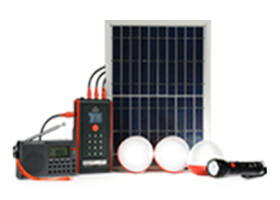 Nearly a year after its installation, one d.light D30 solar home system has brought new opportunities to a family of five in Kenya. Even though the home of the Mutuku Family is located roughly 600 meters from an electrical utility transformer, their residence in Machakos County, Kenya is not connected to the grid. 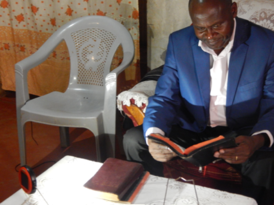 So, Pastor John Mutuku Kiilu installed the D30 system in his home last April to replace two kerosene lanterns that he, his wife and three children had previously relied on for lighting. Kerosene prices are expensive in Kenya and it is a dirty fuel whose detrimental health effects are well-established. The need to constantly purchase kerosene for both lanterns cost the family 500 Kenyan shillings (KES) per week. For the family to have that same level of purchasing power in San Francisco, they would have to spend 1,855 KES. Because the fuel was so expensive, the Mutuku family used it sparingly in order for the kerosene to last for several nights. 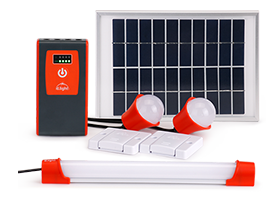 Today, after putting down 2,565 Kenya shillings for d.light’s D30 home system, the family is paying about 280 Kenyan shillings per week for the system, a savings of 58%. 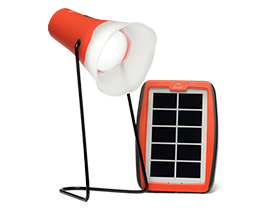 The D30 solar home system the Mutuku’s use consists of three lights, a radio and a torch (flashlight), as well as a port to charge all of their cell phones. After a full year of payments in April, they will own the system and will no longer have to pay for its use. “As a pastor, I believe in community, and I am a role model. When people visit us and see the difference in our place, they enquire and we introduce them to d.light,” said John. 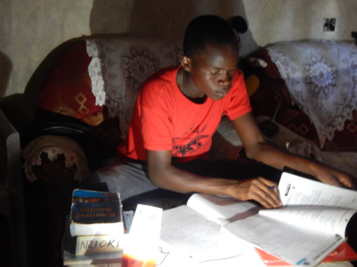 Beyond leading by example, the D30 system has provided academic benefit to the Mutuku’s eldest son, Frederick. The 17-year-old found the D30 system instrumental in bolstering his academic success during breaks from boarding school. A student at Kathonzweni Boys’ High School, Frederick still had to keep up his studies on break and quickly discovered the system’s bright and reliable lights were able to illuminate his studies well into the night. With kerosene lamps, they would burn out within just a few hours, and their dim, low-quality lighting strained his eyes. “The lighting was good and it was easy to study. I can stay up late in the night, either reading or listening to the radio. It has been very helpful to us,” said Frederick. As a result of Frederick having quality light on at home, he passed his exams with high marks, achieving a consistent B with 66 points. He hopes to attend to the University of Nairobi and his dream is to become an architect, working internationally and travelling the world for his profession. The smoke from burning the kerosene was also a health hazard for Frederick and the rest of his family. In addition to causing fires and severe burns, which result in fatalities 13% of the time, breathing in kerosene fumes is equivalent to smoking two packs of cigarettes per day. “It is also a health hazard, because of the smoke. It can cause asthma. If you use it for a long time, the smoke is not good for your health,” said Pastor Mutuku. A person’s birth place should not restrict one’s opportunities in life, but lack of energy limits progress for people all over the world. 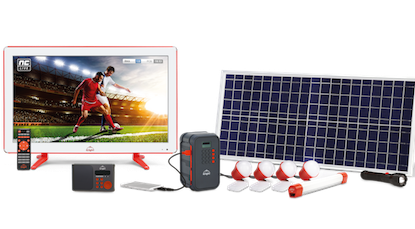 From the start, d.light’s goal was to make solar-powered products that were extremely affordable, so anybody could purchase them and immediately improve their quality of life. The Mutuku Family is a shining example of our mission coming to life and making an impact, not just for today, but long into the future.